For those of you who haven't come across Illumicrate before, it is a YA monthly book subscription box, think along the lines of Owl Crate and you will get the picture, except Illumicrate is UK based so no super expensive postage fees, yay! So this months box contained, two (YES TWO!!!) books. Lets start off with The Graces by Laure Eve. I hadn't heard of this book before but after reading the blurb I am sold on it, plus that cover is gorgeous! The Graces are a group of witches that are meant to be very beautiful and glamorous. The story follows River, who like everyone else is obsessed with the Graces, as she looks into them more to see if they are really all they seem. Oh and this is a thriller, it sounds amazing! 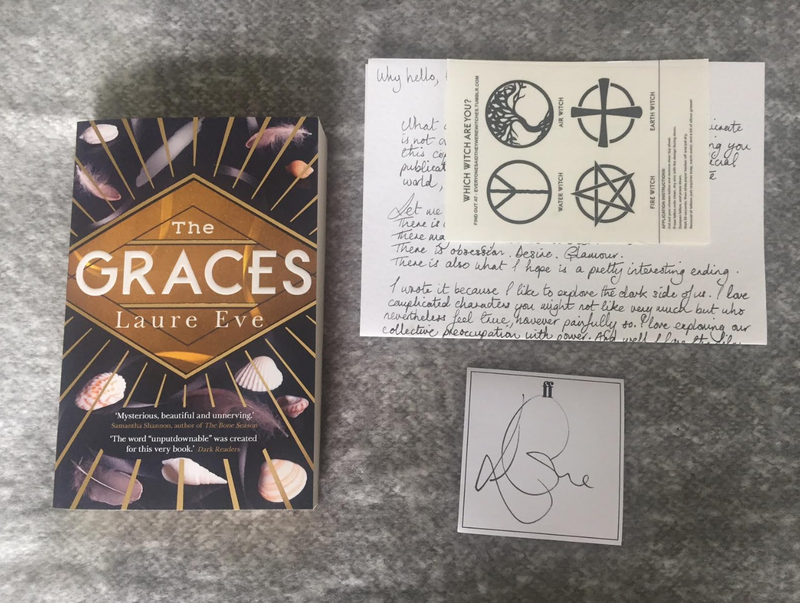 Along with a copy of The Graces there is also a signed book plate, a lovely letter from the author herself and some super cute temporary tattoos. Did I mention that this book doesn't officially come out until September? Seriously Illumicrate is the shizz! The second book included in the box is a hardcover copy of Nevernight by Jay Kristoff. This is a book that I have been lusting after after reading recent reviews on it, but it isn't actually out until the 13th of August, so another early book!!! Sounds amazing right? 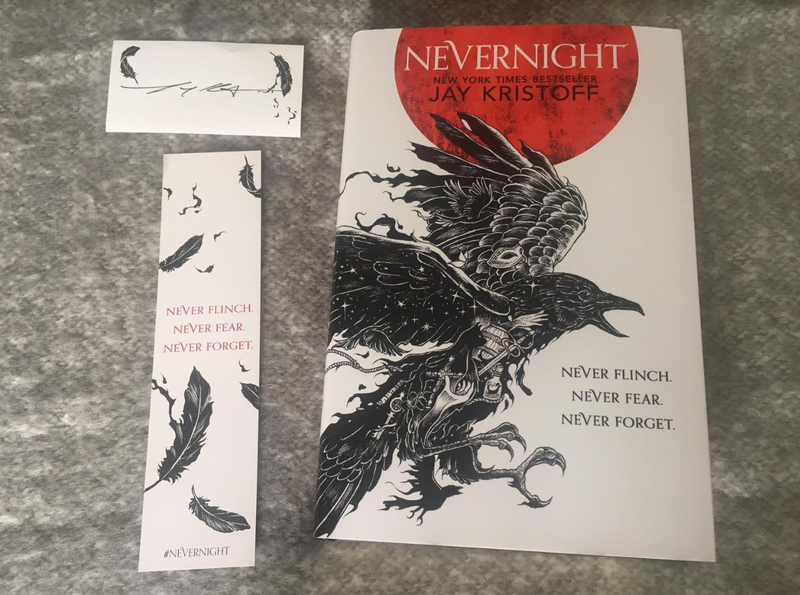 Also included to go with Nevernight is another signed book plate, and a lovely bookmark. The crate also came packed with a lot of really gorgeous art work which I will need to find a way to use, maybe on my desk at work to brighten things up a bit? A couple of colouring in pages were included too which is fab because I know plenty of people love colouring, myself included. 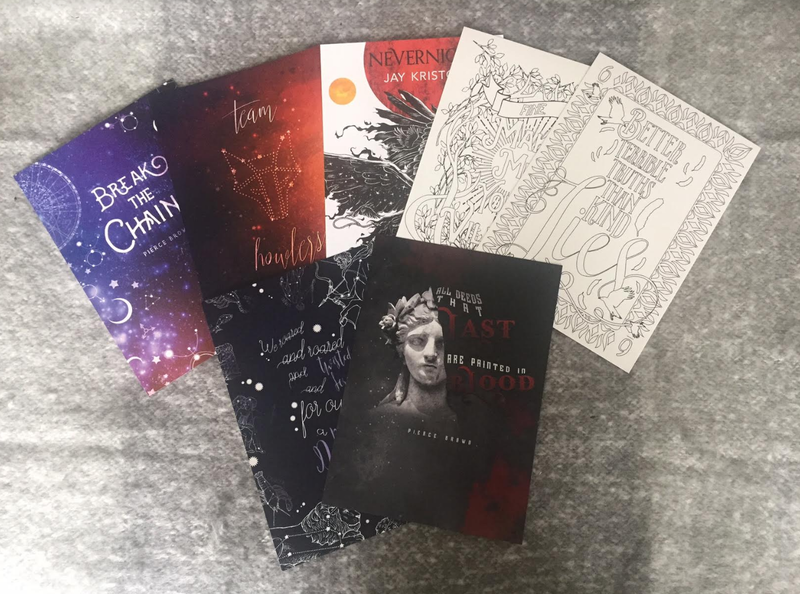 The two colouring pages are of quotes from Six of Crow and Grisha by Ashley Poston. Lastly we have two beautiful coasters from the Harry Potter universe, I seriously love that artwork! 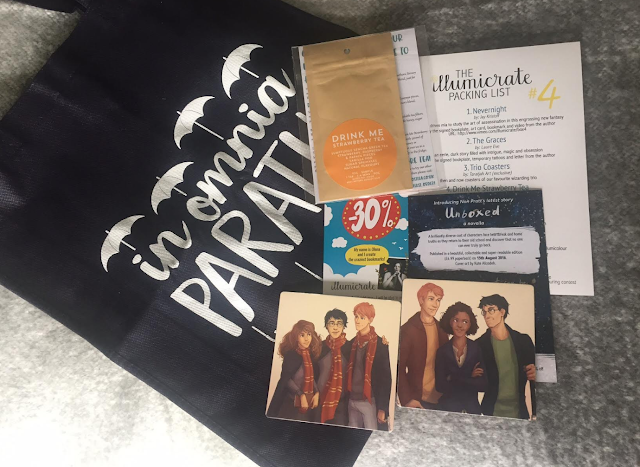 Some Drink Me Strawberry Tea from Post Tea which smells incredible and I can't wait to try, a Gilmore Girls inspired tote bag and a bookmark with a discount code on. This was my first month being subscribed to Illumicrate and I was seriously blown away with how amazing it is. I can't wait for next months and if you are interested in checking them out for yourselves check out the Illumicrate website. This looks awesome! 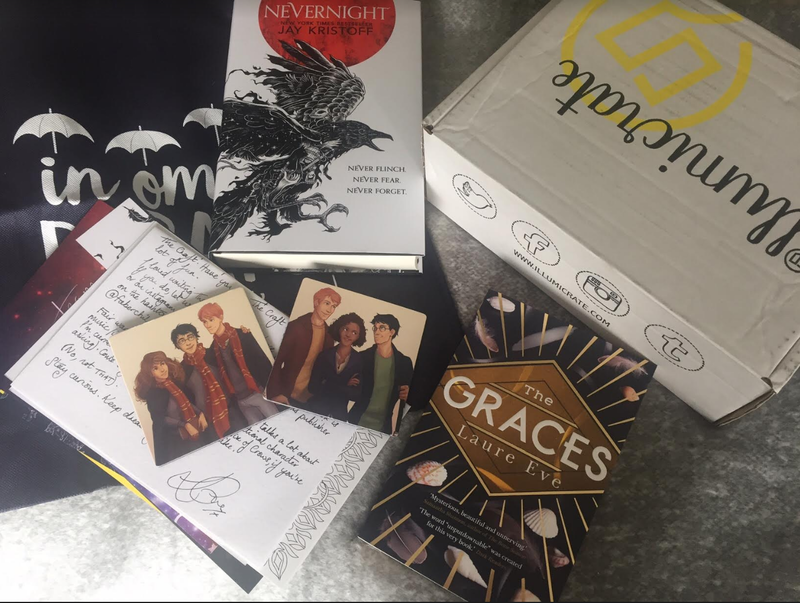 I've been kind of wanting to get one of these monthly subscription boxes for a while, but most of them seem to be from America and so are really expensive to ship. I'll definitely have to check this one out! This is so exciting! I love the coasters. Illumicrate always looks amazing but I never have the spare cash to order one - I will get round to it eventually!